The assignments were "Earliest Memory" and "Worst Nightmare". 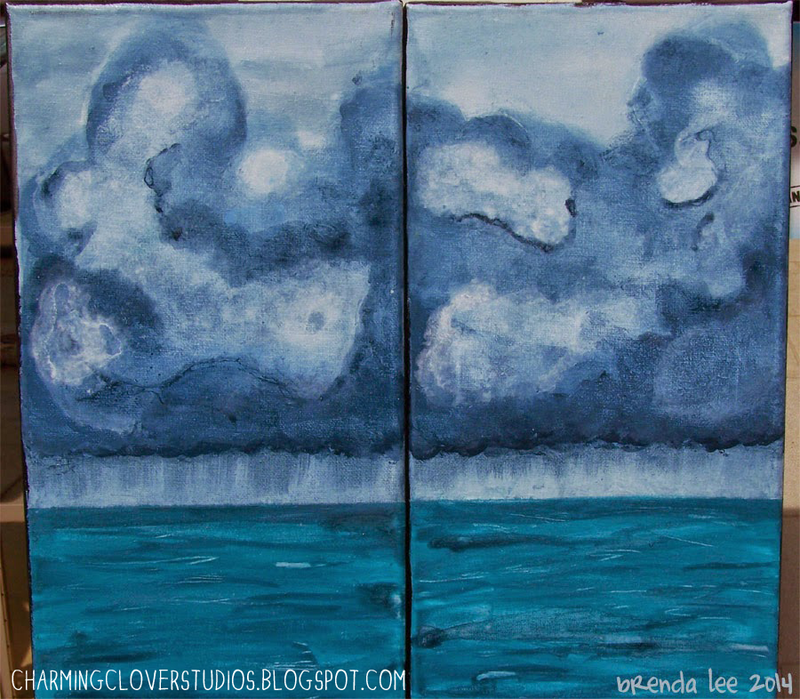 Storms on the Sea is a diptych, acrylic on canvas. 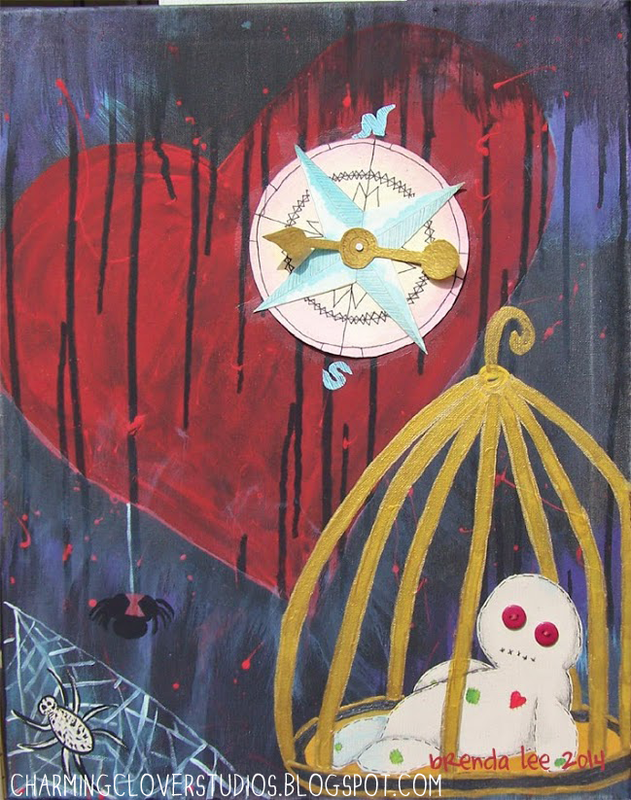 Lost is a mixed media piece - using acrylic, pencil, buttons, thread, and collage of watercolor papers. The compass does actually turn. After checking my syllabus more thoroughly - I have one more painting due this coming Friday - then a paper, a final, and finished. That's all I've got for tonight, y'all. I've got to go take care of my sick babies.